Dragon Village’s creators have created a captivating 50 MB game. Enjoy it with people all around the world. 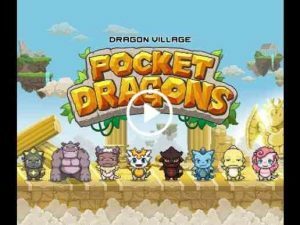 Dragon Village’s dragons are going to a charming pixel world! Participate in exciting group battles with adorable dragons! Enchant! Combine! Become the strongest! Enchant! It’s the only way! The Enchant level is the level of your skills! Become even stronger by Combining! An automatic field battle system based on Dragon Village’s world and lore! Also, a new region called Cavern Ruins has opened! Prove that your dragons are the strongest! Now you can fight in a real-time PVP Colosseum! Pick the right Charms and Dragons to fight in 10:10 battles! Get a Dragon from the start! It’s a chance to acquire a Dragon, rather than an Egg! Would you like to Tame, or Capture? And it is used in game screen recording of NAVER Cafe sdk.